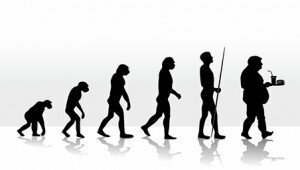 My eating style is based on human evolution – sometimes known as Paleo Lifestyle, or Ancestral Lifestyle, or Primal Lifestyle. They are all the same. Below are the foods that our ancestors never ate because these foods did not exist over the 2.5 million years of human evolution. Our bodies were never designed to ingest and digest these foods. • Modern grains can initiate inflammation and a leaky gut, through which undigested foods and bad bacteria can leak into the bloodstream. Not good! This creates a cascade of events that can cause various chronic diseases and obesity. Grains also encourage the development of unhealthy bacteria in the gut, which never evolved to digest grains completely. Unhealthy bacteria in the gut mean unhealthy bacteria in the mouth. Grains need to be eliminated from our diets. • Unnatural sugars contribute to unhealthy bacteria and chronic diseases as grains do. From a dental standpoint, sugars are fermentable carbohydrates that feed oral bacteria, which cause dental decay and gum disease. All added sugars like fructose, agave, and high fructose corn syrup should be avoided. • Polyunsaturated vegetable oils (like canola oil, sunflower oil, soybean oil, corn oil, and safflower oil) are unstable and break down easily as a result of commercial processing and normal cooking. Ingestion of these fats damages metabolic processes causing harm to individual cells. Also, chemically altered trans fats and partially hydrogenated fats are toxic to the body. All of these need to be avoided. • Processed foods contain too many carbohydrates, unhealthy fats, and an excess of unhealthy salt. They also contain various chemicals, which attempt to add back nutrients and to help food maintain a longer shelf life. Many of these additives are toxic. Processed foods should be avoided. • Legumes have anti-nutrients that irritate the intestinal lining and prevent proper absorption of many minerals. Legumes are not essential for health and only offer a low level of nutrients per gram. Legumes include most beans, peas, lentils, soy, and peanuts. Commercially available soy and peanuts should always be avoided because cooking cannot destroy peanuts’ anti-nutrients, and soy contains phytoestrogens and trypsin inhibitors. The phytoestrogens confuse the body into thinking it is real estrogen, and the trypsin inhibitors interfere with normal protein digestion. However, soaking other beans, peas, and lentils for 8-12 hours and cooking them long enough to reduce the harmful level of anti-nutrients are methods that may make these legumes less harmful. Tomorrow I will suggest those foods that are critical for health.